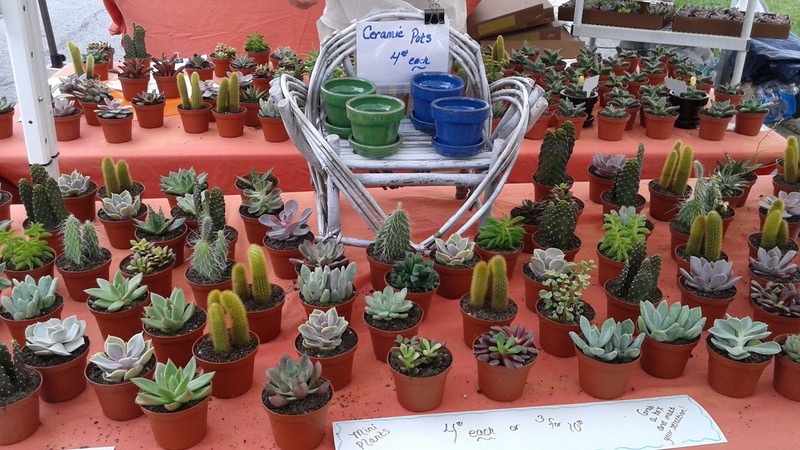 Greetings all, and it's Summer Market Time in St. Pete ! Summer Saturday Morning Market is happening at Williams Park, downtown St. Pete, every Saturday from 9am-1pm, from now until the end of August, so you do NOT have to go without your gorgeous plant needs, nor fresh produce and unique foods stuff, not to mention, the glorious talents of local artists. First, the beautiful and hardy "Bleeding Heart Vine" and we have them in great hanging baskets. 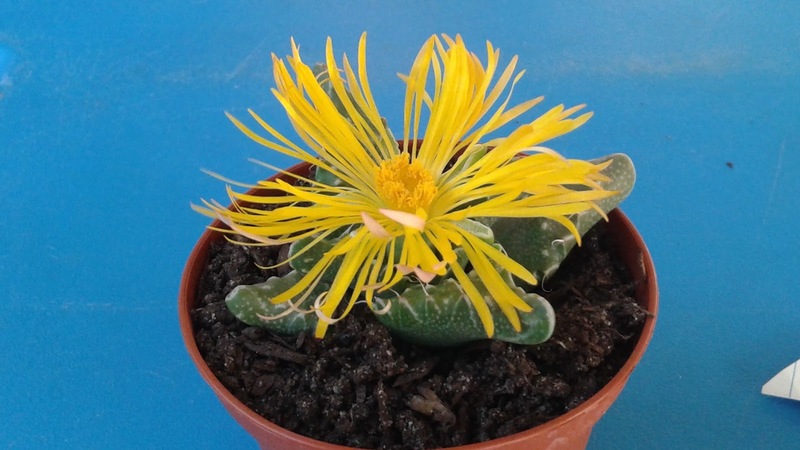 This is one tough, gorgeous plant that will bloom in sun or shade ! 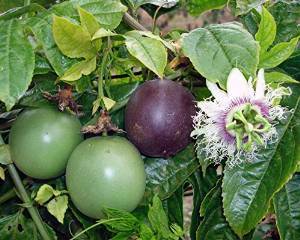 You have been waiting for the popular "Purple Possem" Passion Vine, that produces yummy, nutritious Passion Fruit......we were out of them by the end of April after a busy Spring Show season but the new crop has arrived and is ready for good homes. 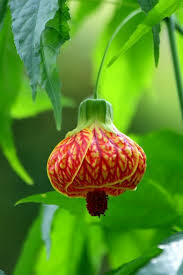 "Abutilon" Hibiscus is one of our favorites and yours too, and they sold like hotcakes in the Spring. Not commonly found, we have a great grower friend who has been working hard to re-supply us with them, and they are now ready. In 3 gallon pots, you can grow it as a Bush or a small Standard tree. She loves sun, and the warmth of our summers and blooms like mad all through the summer through deep Fall. 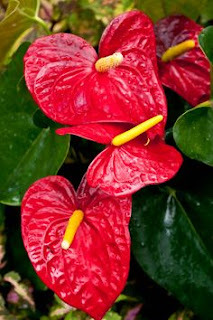 This dwarf Anthurium from Holland is a great House plant, and one of our most popular. We have them in 3 hues this weekend....Red, Pink and Orange. 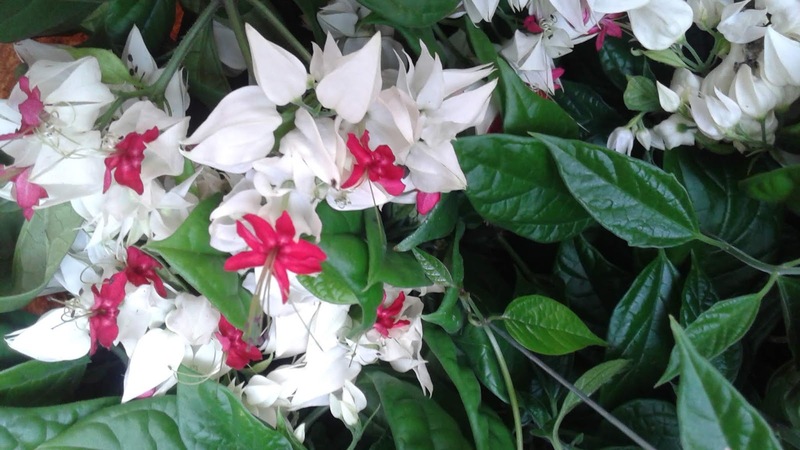 The blooms last for months, and it's a great low-maintenance plant for your homes, porches and patios or shady spaces out in the yard. 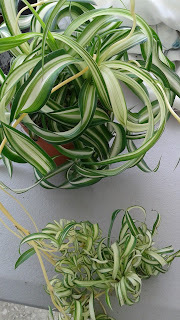 This new hybrid, the dwarf Curly Spider Plant is a real winner and you can't beat it for it's hardiness..it's tough and EZ to grow and maintain. 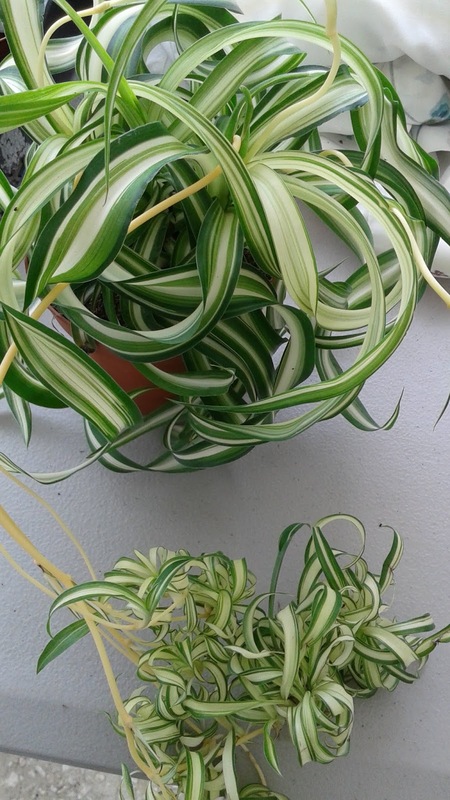 We have to be honest....Spider Plants..hmmm..pretty common but this wavy baby wows the plant world. The "Miranda" Nepenthese plant is always a fun addition to any shade garden. 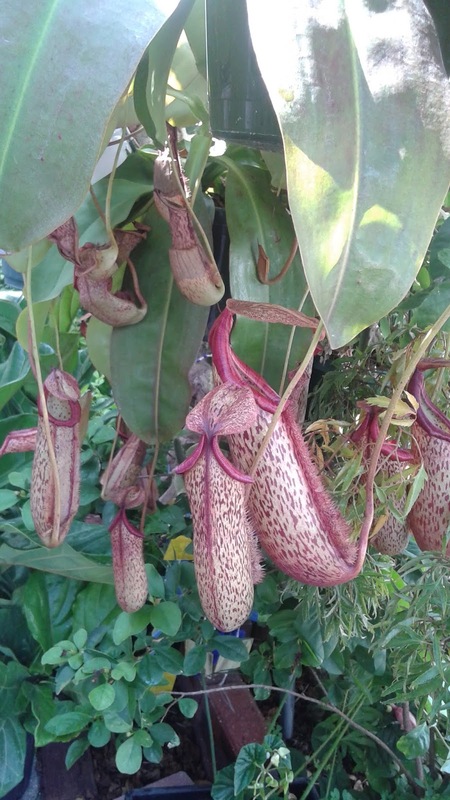 Bugs and gnats head down into the "pitchers" and are trapped by tiny hairs, to be devoured, yum yum, and it thrives in our humid shade gardens in the summer. And of course, we have a huge new crop of Mini Succulents and Cacti..all hand picked by Mitch and I, for their specialness, their health and their uniqueness. We spend hours, literally days, hand picking every plant and let me tell ya, it's not easy in these hot times, inside steaming green houses..but it's worth it, because we know that you know..we want to bring the best and the brightness and the newest to our customers ! And we were so excited this week, to find a great crop of "Tiger Jaw" Succulents in bloom and bud and it is one of our favorites, so we gathered as many as we could. Tiger Jaw is so cool as it is a afternoon/evening bloomer, and the flower is Huge..usually dwarfing the interior plant ! And, what's really cool, it will open and close for about 3-4 days. Then it starts making babies that continue to bloom thoughout the year. 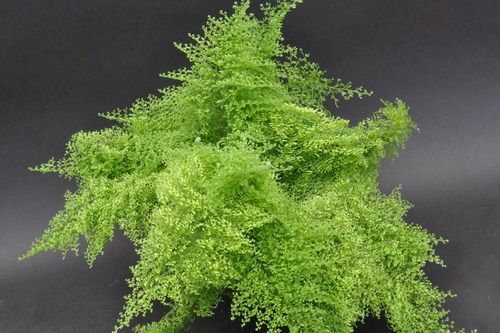 During the Summer Months, we know a lot of our customers want and love House plants and we always try to have a great selection of EZ cost ones for you and one of the newest things we have this weekend is the "Cotton Candy" Fern ! Is she not stunning ?? It is like a billowy cloud of green yumminess, you got to check it out. 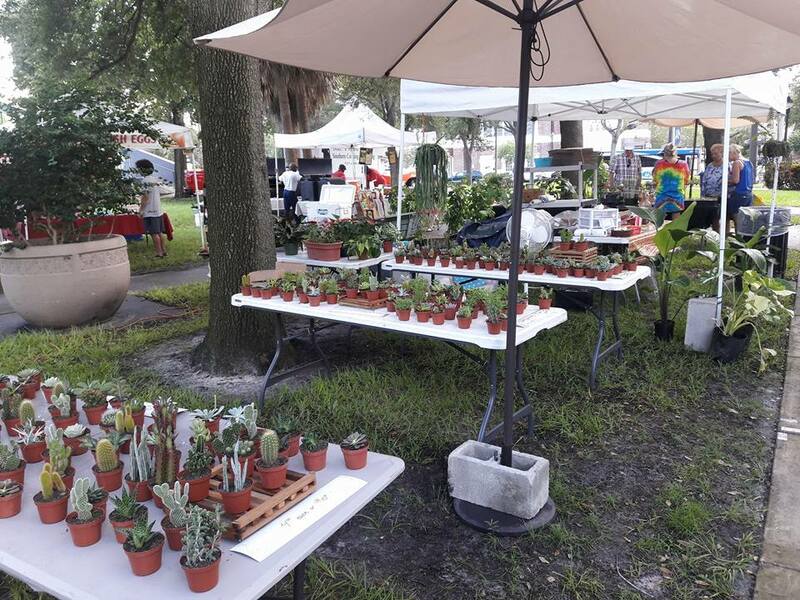 The market is located in a beautiful Oak Shaded park downtown St. Pete in the area bounded by 1st Avenue North and 2nd Avenue North, between 3 & 4th streets. There is plenty of parking nearby....on the streets, nearby garages with low rates and the Park is a safe, individual and family environment. 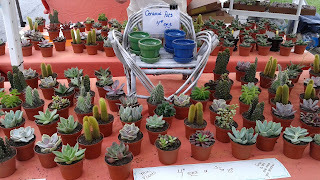 At the Market, you will find great Produce, Specialty Foods, great Artisan and live music of course Armstrong Nursery on the Northeast end of the Park. 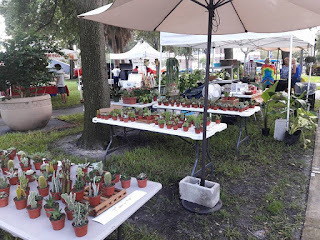 Summer Saturday Morning Market, downtown St. Pete at Williams Park, and by private appointment.